SilentRoll is a domain specific engineering simulation software used by tire design engineers globally to design and simulate low noise tires. The software allows the tire design engineers to specify tire design input data in the language and terminology that they are used to and then creates a very efficient noise simulation model for the rolling tire and road interaction. Tire design engineers are concerned about the impact of their tire design on the noise that is generated when a high speed vehicle runs on road. Highway noise has been a key concern for communities. UN ECE Regulation No. 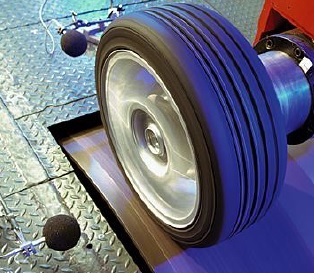 117 mandates that tire noise be significantly lowered and tire designers need to be able to simulate and assess the tire rolling noise at design stage. SilentRoll software helps tire designers do exactly the same with speed and accuracy. nvhGeek is an intelligent software tool with vibration and such other sensors, and data acquisition hardware. nvhGeek is used by engineering teams to acquire and analyse vibration signatures for machine fault diagnosis during operation or as an end-of-line quality test system before shipping products to the end user. 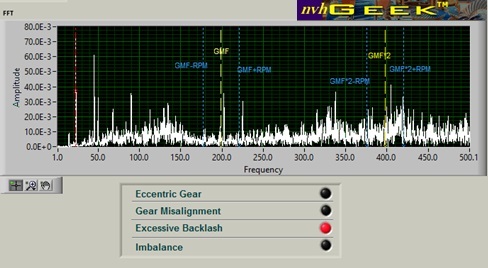 nvhGeek analyses vibration data for gearbox, motor, bearing, engine, and such other machine subsystems or entire machine and indicates the machine condition with feedback in an easily understandable and actionable English language for the operations teams. As an end-of-line testing solution provider, we ensure that you never ship a defective product to your customer. We engage with you to assess your product quality assurance parameters and then map the same on nvhGeek expert system back-end algorithms to handle any defect identification challenge. 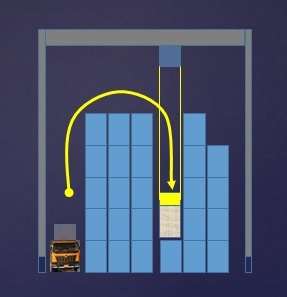 Safe and efficient container movement using tyre and rail mounted cranes (RTG & RMG) on a shipping port container terminal directly impacts the operator saftey, service quality and profitability of the container terminal. QLaserOn as a software and hardware platform enables the container terminals achieve these objectives in a cost effective manner. We engage with you for a start to finish implementation of our container loading and unloading operation automation solutions on shipping port container terminals.